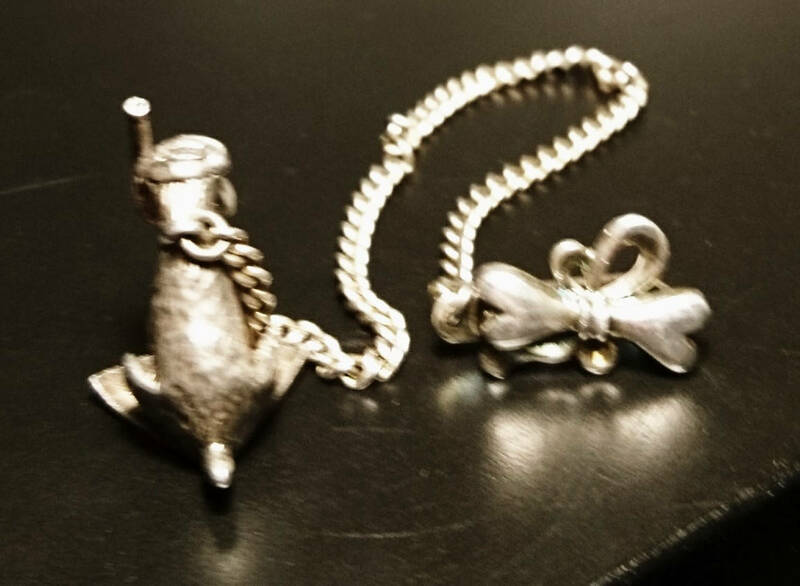 Vintage Russian silver, novelty watch fob chain or sash clip. 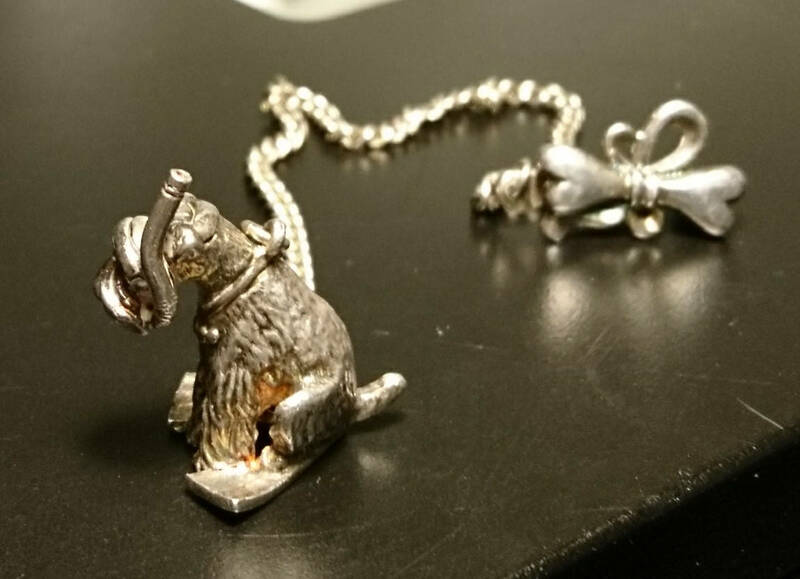 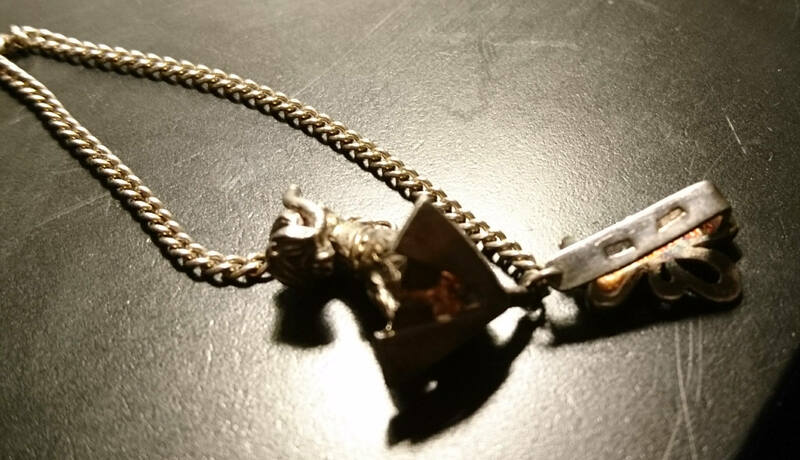 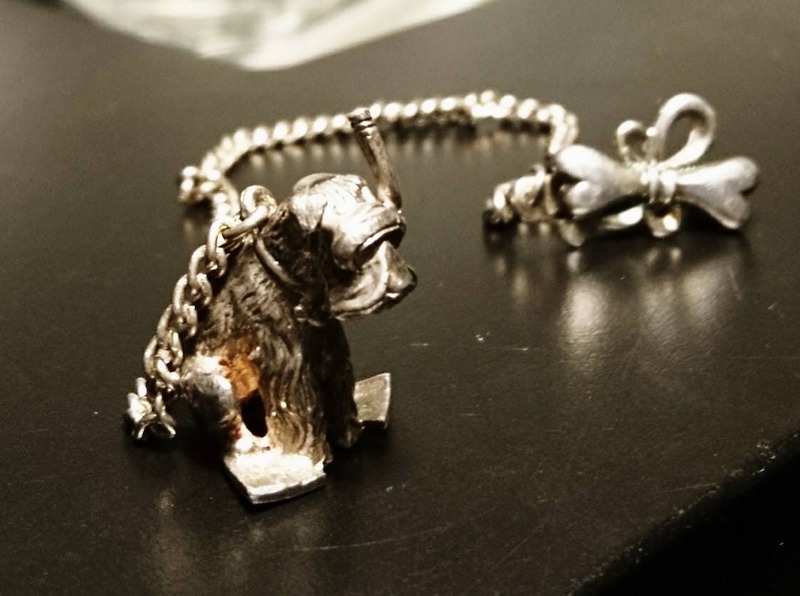 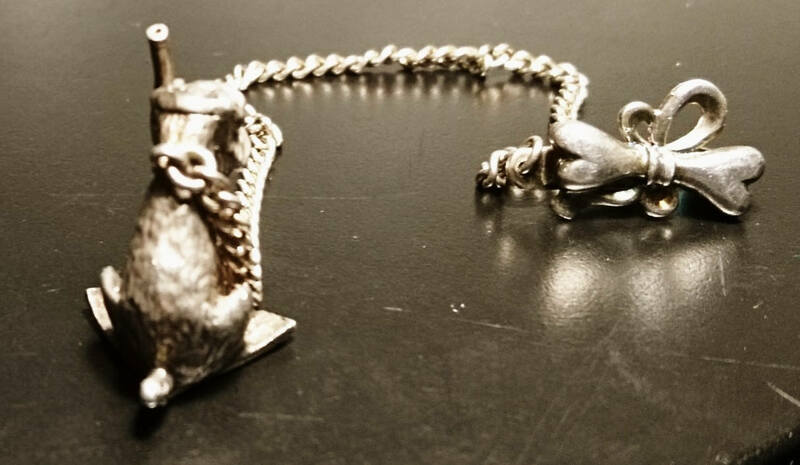 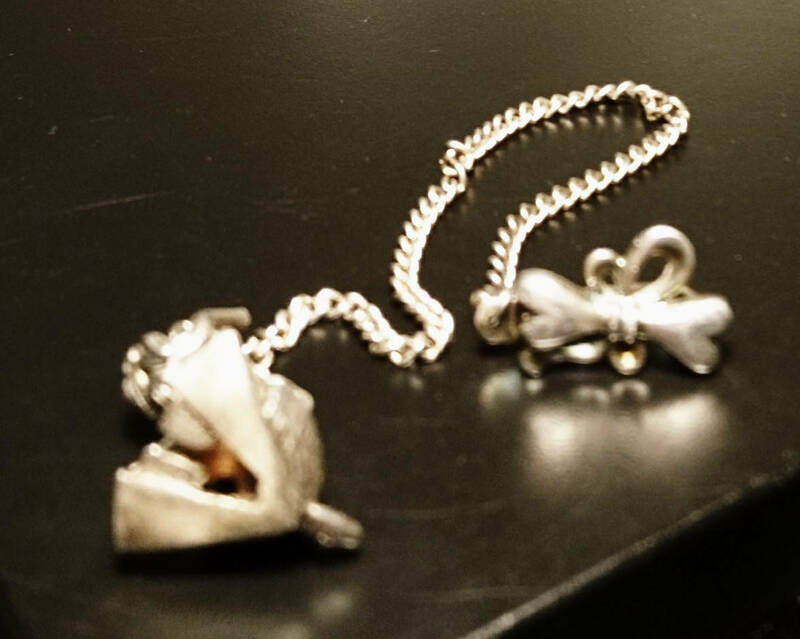 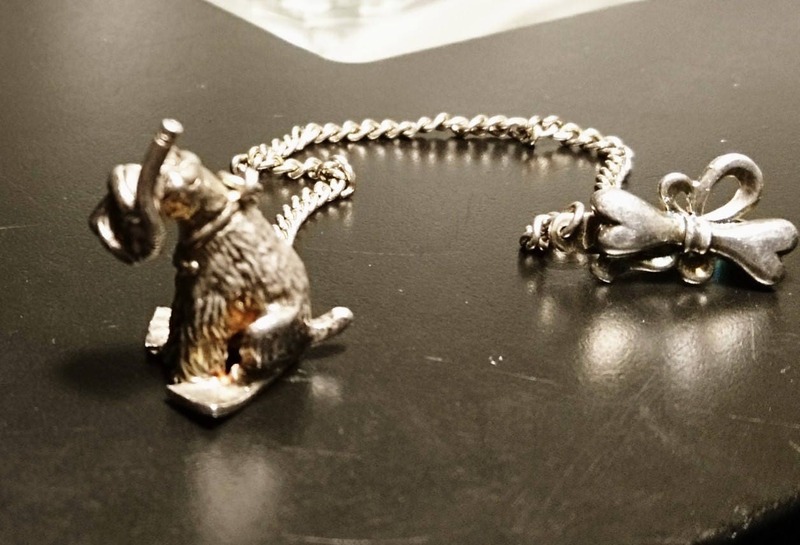 This chain is just so fun, it features a little scuba diving terrier, he is complete with snorkel, goggles and flippers, attached to a silver chain it then has a clip attached to it which can be attached to a sash / belt or sweater, the front of the clip is fashioned as a bone and has a small loop. 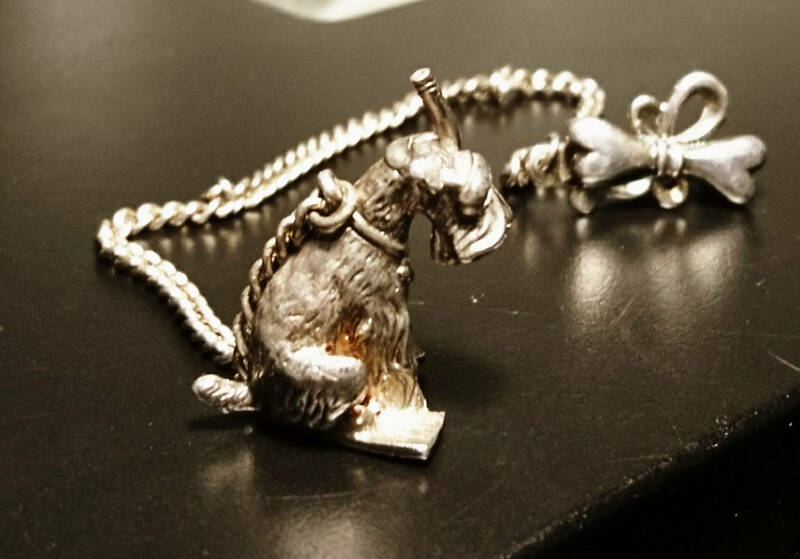 A fantastic little novelty piece, made in the late 50's Circa 1958 it has Russian hallmarks for 999 fine silver, date period M and Moscow assay, there is also a makers mark but this is worn.